Welcoming in June with another blog giveaway! This time, for a Wild & Free Jewelry Crescent Mermaid Crown and heaps of cosmetics from Moonrise Creek! It’s the perfect summer collection for all you ocean loving babes out there! Read on to see how you can enter to win the below items in just a few easy steps! p.s. I’ve been using all the cosmetics in this giveaway for the past few weeks and I LOVE them! The color, aroma and feel of all the products are divine. 3. Subscribe to the Wild & Free Blog (e-mail subscription located on right hand sidebar, or at the bottom of the post if viewing on mobile). Winner will be chosen Monday morning at 11am. All ages and international entrees welcome. Good luck everyone! Scroll on for more mermaid magic. 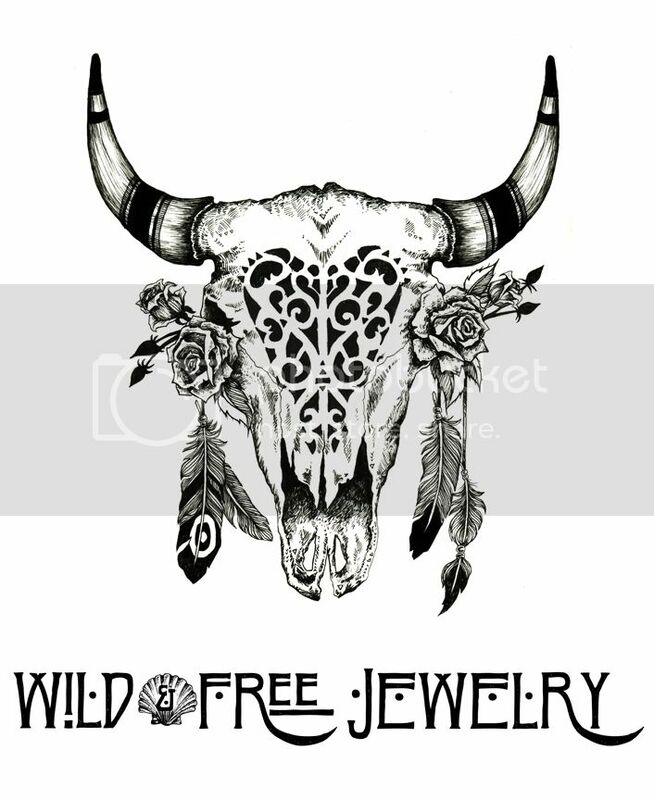 Posted in the wild & free blog, wild & free jewelry and tagged cosmetic, giveaway, mermaid crown, moonrise creek, shell crown, wild and free, wild and free blog, wildandfreejewelry. Bookmark the permalink. Completed 1,3,4,5 and about to post #2 on my IG! 😁 Fins crossed that I win! Ah! So much work going through all the entrees, but I got it done! The winner is “thecolorautumn.” Yay! Congratulations babe! She has been e-mailed and is about to be announced via Insta. Thank you so so so much for all your entrees! I hope some of you have become Moonrise Creek fans like I have. The next giveaway will be to win one of my embellished denim jackets and is coming up later this summer! I already entered last night with four of the steps from my phone and just now was able to use a computer to subscribe to your blog, so I have now finally managed to follow all 5 steps. 🙂 I hope it was in time to count for all 5 entries! I entered just in time phew! I completed all 5! Thank-you! I entered just at the last minute, phew! I completed all 5!! Thanks for this opportunity my fingers and toes are crossed!! Thank you for this chance and your generosity ❤ Your spirit is beautiful. I've completed 1,2,3,5 (I don't use FB). I love these cosmetics! And the crown is soooo beautiful!!! I completed #1,3,4, and 5! Completed 1,3 + 5!! Keeping my fingers crossed!!! 🙌🏼 you are two of my favorite makers! This is beautiful. I’ve completed 1,2,3,4 and 5! Love. I completed 1 & 3 🔅 I hope I win! Completed all the steps!!! (@glittle12 on Insta). I’ve pretty much been convinced that I was a mermaid ever since I was little, so this would just be the most amazing giveaway to win! That’s for the introduction to a new makeup line as well!! I’m swooning over all the pretty colors!! 1, 3 & 5 done. That crown is breathtaking.. wow! 1,2,4,5. ❤✨ you guys are awesome! I completed #1 and #4 (and #5 now)! Stunning work, absolutely gorgeous. Fingers crossed! 1, 3, 4 & 5. Completed 1,3,4 and 5. What a breathtakingly beautiful prize! I completed 1, 4, & 5! Hope to win these! That is amazing! WOW! I did 1,3,4,and 5!! Completed 1,2,3,4, and 5! Have been wanting to try your makeup moonrise creek, and wildandfree I am new to your page… The crown is amazing!!! In absolute love with all of these. I completed 1,2,3,4 & 5! 1, 2, 3, 4 and 5 done! What a beautiful crown! All five! Mom on a mission! Hoping to win this lovely crown for my mermaid daughter. * 1 2 3 4 & 5! I did all 5 to enter the giveway! Hope I win. Beautiful! I completed 1 and 5. Thanks! 1, 2, 4 & 5 🙂 instagram name is burgundylemon! I entered with 1,3,4 and 5! Im obsessed with Wild and Free Jewelry and recently became obsessed with cosmetics and moonrise creek cosmetics are so pretty the pigments are gorgeous and by the looks of it, it looks organic and I would love to try it out. How beautiful, this morning I dreamt I found a long spiral shell, now I have found this mermaid crown – my inner mermaid smiles. I entered with 1 and 2! 1, 3, & 4 this is such a beautiful piece! I’d love to wear it to a festival! I did number 5 😍 Amazing giveaway! I did all 5. Thanks. And have a magical day! 1,2,3,5 completed. Sorry I don’t use Facebook. I hope I win. This would be stunning for my wedding. Absolutely love. Those cosmetic colors are amaze. Blaaahhhh loooove this!! Your products are sublime! I completed 1,3 (btw I couldn’t read the text when entering my email in mobile), 4, 5! Wow, so great! I did 1,2,3 & 5 @bohogypsyysoul account!!! 1,2,3,4, & 5!!! All my friends tag me in anything mermaid because they say it reminds them of me! Would absolutely die if I won this giveaway! Good luck to everyone who entered!! What a beautiful masterpiece. I would love to dance around with it at my wedding. I finished 1,3,4 and 5! I completed 1, 3, 4 and 5! Thank you! 1,3,4,5 ❤ They seem to be taken out of a fairy tale. 1,2, 3, 4, and 5! Such a beautiful combo with Moonrise Creek and Wild&Free Jewelry! Perfect for these warm summer nights. 1,2,3,4 and 5 – I’m travelling around the world at the moment and currently in Sri Lanka – this piece would be absolutely amazing for the beach and for evenings out! I’m so in love with it – I want to be a mermaid! Hi ! Thank you so much for this giveaway. Completed all entries 1-5! 🙂 Such an amazing giveaway!! Thank you! I completed steps 1,3 and 5 😃 thanks for the opportunity. 1, 4, and 5 are complete. Love Moonrise Creek! Omg! I love me some mermaid swag! I have been wanting to do a mermaid photo shoot and this brown would be perfect!!! So beautiful! I did 1-5. Thanks! Completed 1-4 thanks for the awesome giveaway! Adorable, I attempted making one of these, did okay, not nearly as nice, at all, I’d love a professionally made one instead. Definitely not a DIY task to take on! I did 1,2,3 and of course 5. So excited. Completing 1-5 💖 Lovely giveaway! #s 1, 4 & 5. 🙂 thank you! I completed 1, 3, 4 and 5! Just heard about the giveaway from a friend and I’m obsessed with that mermaid crown!!! I did 1,3,4 and 5 now! 5! Thank you for offering such a wonderful giveaway. What a magical giveaway!✨ I completed 1,3,4,and now 5! Hey!!! 1,3,4,5!!!! Aaah!! Im really looking foward to this one!! 1 through 5!! Pick me! 1, 2, 4, and 5!! Beautiful!! Hello from Pensacola on the Gulf Coast of Florida! Completed steps 1, 2, 3, 4 & 5! All 5!! Love these brands! All 5 done and done!! Oh I hope I win!! Complete all!!!!! One to five 😍😍😍😍 Completaly in love. Julia from Australia, love the beautiful shell crowns and make up products!! love everything you do! It’s always so beautiful and inspiring. Love you and miss you! Yay! I completed 5 of 5 🙂 I would wear this crown everywhere. I love! Aaaaaand I did them all!!! 1-5✌🏻️ I have ALWAYS been obsessed with your crowns since the day I stumbled upon your Instagram 💕 Absolutely perfect for my mermaid heart. Good luck everyone !!! Did all 5 love it! I’m so excited about this giveaway! I’ve been wanting one of these crowns for so long now. 🙂 Finished 1-5. Thanks so much for this opportunity. Greetings! I did # 1 #2 and #4 such lovely creations, thank you ladies! wow! what an amazing give away! i completed number 1 and 3. I completed all 5!! Thank you for this opportunity! !